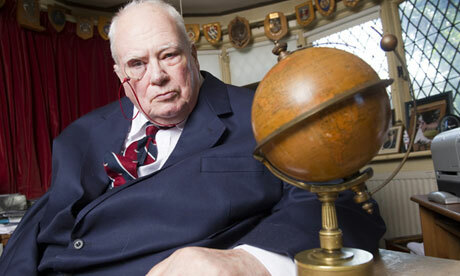 It's a sad day for both science and broadcasting as it was announced earlier that Sir Patrick Moore, presenter of The Sky at Night and renowned amateur astronomer, has died. Moore was known for his eccentric persona, his monocle and most of all his fiery enthusiasm for astronomy. He holds the record for the world's longest presenter of a television show, having started as the face of The Sky at Night on the BBC in 1957 and carried on working on the show up until his death. He was responsible for making the public excited about the universe and was a well-respected and much loved British institution. Moore is a personal hero of mine and I know we will never have anyone else like him. He was a true fountain of knowledge and someone I could listen to for hours. He will be missed greatly.